In the chapter, “Adult Literacy Programs and Art” written for the book, Bringing the Arts into the Library, edited by Carol Smallwood, I discuss the program I created for adult literacy students in the literacy program at the Berkeley Public Library. I noticed not all of the students were motivated to practice reading and writing and although they sincerely wanted to gain better literacy skills, there was a lack of focus. At the time, I was taking a grant writing class through my MLIS program at San Jose State. The grant I wrote for the program was funded by Bay Area Library Information Services (BALIS). Since my work as a Library Literacy Instructor was grant funded and part time (only eight hours per week) I wrote myself into the grant as the program coordinator. This way I could effectively work on managing the program and attending field trips and art classes and get paid for my work. We started Cultural Arts Literacy in 2009. For examples of student artwork and writing, see the program Web site. 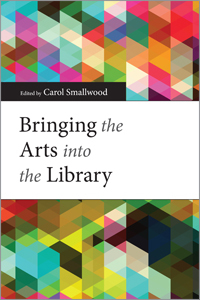 For more about the program, and the steps I took to create and manage it, see Chapter 4 of Bringing Arts into the Library. This type of program can be adapted for many different groups: Kids, teens, seniors, to name a few. In January, one of the pages at my local branch library put together a small group of library technical services assistants to volunteer at a nearby public elementary school. The school had re-opened after a two-year renovation and our one-day “crowd sourcing” was to begin the automation process – copy cataloging, adding new spine labels, barcodes to expedite the checkout process and adding the library’s collection into the school district’s online catalog. We may reprise the Flash Mob idea for a couple of days this fall to complete the non-fiction collection. Care to join us? One of BayNet’s summer highlights took place on August 8, 2012—several weeks before the start of the fall semester at San Francisco State University’s (SFSU) J. Paul Leonard Library. 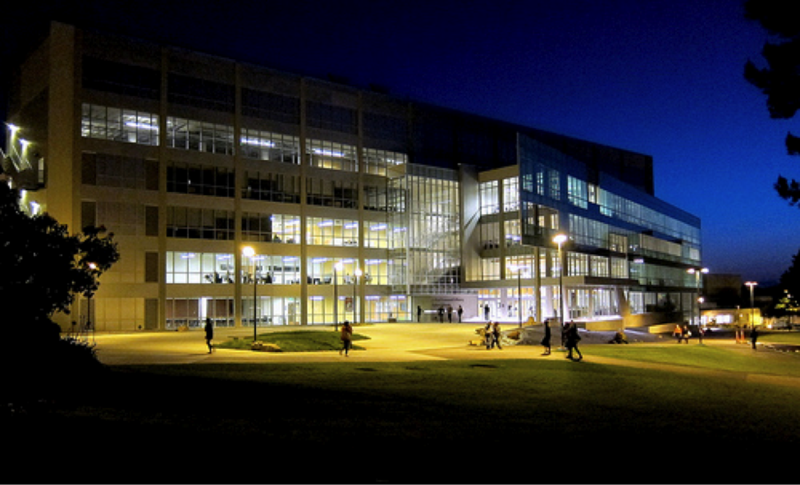 Over a decade in the planning, this library opened its doors in the spring semester of 2012 after an extensive renovation. In addition to housing the Sutro Library, Labor Archives and Research Center, and Academic Technology, the library now has expanded collaborative learning spaces and increased computing and social study areas for its students. Nearly 50 attendees— librarians, information professionals, library assistants, and library school students—toured this new learning resource facility. Following the tour was a speed networking event, marking one of BayNet’s most active networking opportunities of the year. Given the large number of attendees, everyone split into four groups led by different librarians. The most apparent scene upon entering the library was its spacious accommodations. Instead of long ranges of shelves obstructing the view, natural light streamed into the room, illuminating social study areas. On the first floor was the book check-out and pick-up area. This floor also housed the automatic book retrieval system—storing nearly one million books and comprising approximately 75 percent of the collection. Using a bar-code retrieval system, a request can be programmed into the computer and off goes the mechanical robot to fetch the desired items, retrieving materials and placing them into storage bins within under a minute. The other floors showcased various collaborative learning spaces. For example, students can book study rooms, bring in their laptops, hook them up to a central console, and project their content onto large LCD screens. Instead of clustering around each other’s computers, students hold interactive group discussions and presentations in a mini-classroom style. Movable white boards and detachable tables also added to the mix of social learning tools and resources. Other intriguing highlights include digital media studios consisting of 9 editing rooms and 30 stations wherein students engage in multimedia projects such as filming videos and uploading them to the Web to be shared and viewed by all. Overall, the J. Paul Leonard library at SFSU embraces learner-centered education in the spirit of collaborative learning and teaching. Interactive space designs and portable furniture foster peer camaraderie, affording students an opportunity to take control of their education in the social process of learning. We wish to thank the staff of the San Francisco State University Library for hosting and leading a fun-filled tour to one of the best state-of-the-art learning spaces of the 21st century. My path to being a librarian wasn’t a straight-forward one. Some years ago, I worked as an office manager for a venture-capital firm. Although the work was fast-paced it was not challenging enough. I decided to go back to school to pursue an MLIS degree. Four years flew by and I stayed in my boring job. At the time, it didn’t make much financial sense to re-start my career from the bottom up in a new field. Enter the recent recession. The firm laid everyone off and closed. Now what? Well, maybe this was the push I needed to go into librarianship. Easier said than done. As anyone interested in the field can attest, getting a job at a library without experience and contacts is nearly impossible. I tried all the wrong things such as sending résumés willy-nilly, not focusing my job search, and shying away from networking. Mistakes were made. Once thing I did do right was volunteering as a digital archivist at the History Room in the Mill Valley Public Library. The librarian there, David Grossman, who turned out to be an incredible mentor, also teaches along with Deb Hunt, a fabulous workshop “Expanding Your Career Potential” specifically geared towards library professionals. Now that I didn’t have a job anymore, I had plenty of free time to invest in “developing my potential” and decided to attend the workshop. Boy, am I glad I did! The workshop, taught in two sessions, offers practical advice to help information professionals assess and expand their expertise, develop essential skills, create a dynamite résumé using specific industry buzzwords and/or phrases, become more marketable, or simply gain a competitive edge. The first session identified and discussed those skill sets that are in the greatest demand in the library world. Deb and David also did a great job of examining alternative jobs and potential career paths for librarians and information professionals. All along, the workshop attendees were guided in developing a personalized action plan that not only identified areas of development but also helped us create a strategy and timetable to acquire those new skills. I left this first session with my very own personal action plan for career success as well as tons of information on how to begin focusing my search according to my goals and expertise. The second session explored a variety of non-traditional library settings outside the library realm where information professionals are working and thriving. Case studies of librarians and former librarians who have successfully taken a great leap forward or upward in their career or transitioned into a less traditional or alternative career path were presented. At this point, the presenters taught us how to leverage existing skills to meet library needs, rework our résumés to including specific industry buzzwords, develop our talking points and “elevator speech,” and learn how to adapt and thrive within the tsunami of change that is sweeping the library/information profession. One great benefit of the workshop was the networking opportunity that it offered. Before the first session, the presenters instructed workshop attendees to bring business cards (or a piece of paper with our personal information) to exchange with each other with the goal of collecting at least 10 by the end of the night. Since attending, I have kept in contact with several of the folks I met at those sessions. Another benefit of the workshop is that it made me pick areas of concentration for my career path, develop my skill set around those, tailor my résumé and networking accordingly, and keep my eyes open for opportunities that matched the tasks I wanted to do which may not have been necessarily advertised as such. So who would benefit from this workshop? Absolutely anyone! Any librarian, archivist or other information professional, who is currently unemployed, underemployed or worried about potential layoffs or job security, as well as those who may feel stuck in a rut or a dead-end job with scant chance for advancement. The workshop will also be extremely beneficial for any library/archive/information professional, who is seeking that next job opportunity or a career change, but fears they lack the right skills or competitive edge for success or advancement. As for me…I got a new shiny library job shortly after attending the workshop. I am now a Cataloger and Metadata Librarian for Marin County Free Library. My position is a combination of Spanish services cataloger/selector and electronic services librarian. I didn’t know it back then but this is exactly what I want to be doing! The Future of Libraries is an annual workshop that focuses on innovations that are taking place in our regional libraries. The latest session presented by the Pacific Library Partnership on September 19, 2012, included presentations about a Library-Managed E-book platform, Open Source Integrated library systems, a Print-on-demand service called I-Street Press and Interactive Local History projects in San Jose and San Francisco. 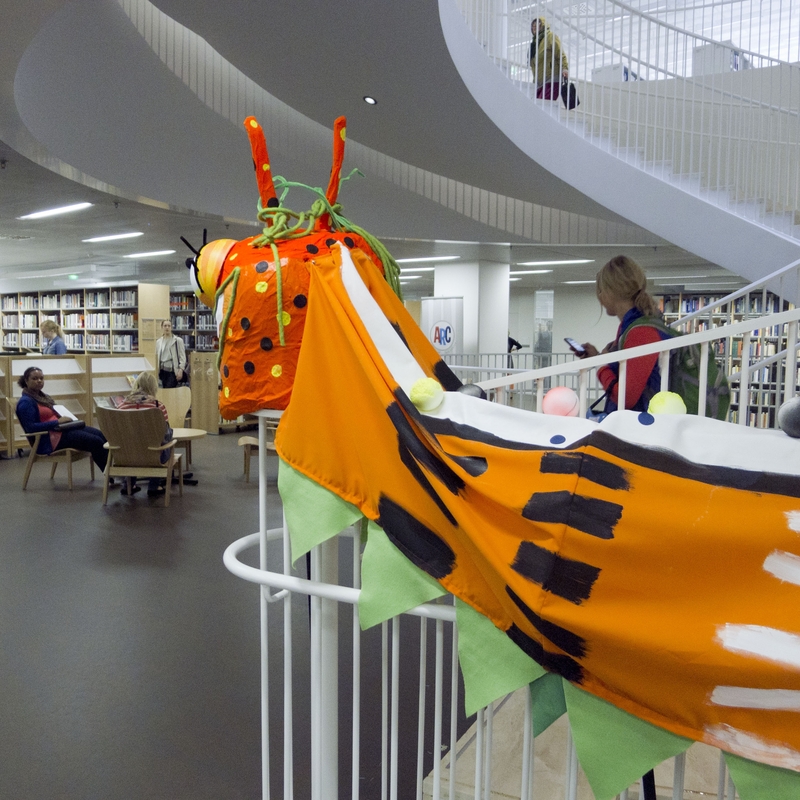 The Future of Libraries: 8.0 workshops showcased four innovative projects that are currently up and running despite cuts in staff and funding to all systems. What exactly is a library? In our increasingly technological world, too many people believe that a library is nothing more than a repository for outdated encyclopedias – so it is expendable. This is far from the truth, as most of us know but public perceptions are often not supportive to libraries. It is vital for libraries to adjust, adapt to the ways that people are living and working now that they use smart mobile phones and portable tablets, in addition to portable computers, to work and communicate. 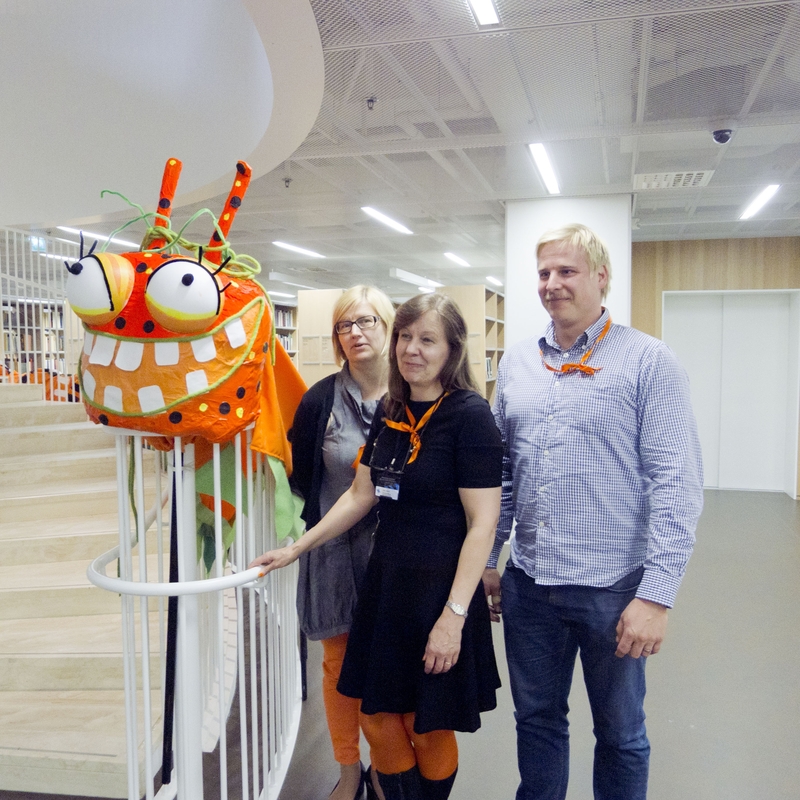 We need to create our own future, so that libraries have a future! The morning started with a welcome from Heather Pereira, Santa Cruz Public Library the event Co-Chair and Luis Herrera the City Librarian from San Francisco Public Library. After a lively introduction, four diverse and interesting sessions were presented to attendees. The Califa Library Group and Contra Costa County Library system have teamed up to create an experimental E-book project modeled loosely after the Douglas County (Colorado) model. The as yet unnamed project is still working with publishers, software developers and libraries to complete the platform, but a few facts are known: they have purchased Adobe Content Server Software, found a host for the server, working with Quipu Group to create the front end, developing a mobile app, negotiating with publishers for rights to purchase their content, started a Collection Development Committee to decide what to buy and to handle the purchasing. The philosophy of the project is to focus on independent publishers who are willing to experiment with new publishing and distribution models. This is a very complex project and involves numerous cooperative agreements with various companies and stakeholders. One company that is instrumental to the project is Smashwords, which claims to be the world’s largest distributor of independent ebooks. “We make it fast, free and easy for any author or publisher, anywhere in the world, to publish and distribute ebooks to the major retailers. “ Califa will be able to purchase titles for $3 a title. This is in direct contrast to the majorNew Yorkpublishers who are trying to charge libraries $80 for a fiction title and up to $120 for non-fiction titles. Rather than be at the mercy of these large publishers who are treating libraries like second-class citizens, the Califa project seeks to control its own future and provide library patrons with quality eBooks for a reasonable price. Smashwords is further cooperating with Califa to allow patrons to self-publish eBooks. Rivkah Sass, director of Sacramento Public Library, presented a lively overview of the I-Street Press, a print on demand service for patrons. The library received a grant for $240,000 which funded the “espresso” book machine named “Essie”. The library offers creative writing workshops, marketing tips, graphic art coaching and a whole host of support for the new author to be successful. The philosophy behind the I-Street Press, is that all people have a book inside themselves; with support they can write, print, publish and market it. The I-Street Press is an example of a “Maker Space”, which is transforming the library from a space for consumption of products and materials, to one in which patrons create products and learn new skills. Library Journal October 1, 2012 featured an article on Maker Spaces and the debate about what the core mission of a library is or should be. The Maker culture is one that involves “learning through hands-on creation: a combination of technology, art, and citizen science; and a sharing of results and often, process.” This is an abstraction which is not embraced by all, yet offers a potential for libraries to reposition themselves in the public eye. Rivkah has a passionate message: “public libraries are in peril. We need to evolve to exist and to find ways to engage the community.” Sacramento Public Library has done a fabulous job of just that. Both San Jose Public Library and San Francisco Public Library have innovative digital projects which allow users to view historical digital images via their smart phones and tablets. Scan Jose is a mobile website made for patrons to use on the go, while walking along various routes in downtownSan Jose. There are currently 3 tours available, with plans for more. The Scan Jose website was developed on a Drupal platform and is focused on “street view” images. Approximately 1300 images are digitized, identified and described. The San Francisco Public Library has over 2 million photos in their photo collection. They have digitized a portion of them and created an online collection. “The San Francisco Historical Photograph Collection contains photographs and works on papers of San Francisco and California scenes ranging from 1850 to the present. This collection includes views of San Francisco street scenes, buildings, and neighborhoods, as well as photographs of famous San Francisco personalities.” The collection may be viewed online or in person during photo desk open hours. The San Francisco Public Library website offers access to approximately 40,000 digitized images. Putting the collection online is a bit of labor intensive undertaking. But it is an important component in the evolving library service model. The San Francisco Public Library website has not undergone massive reform in many years and the digital library collection caught the attention of highly technical web developers, as the example of a low tech site. Being noticed in the tech world has created the opportunity to develop relationships with the tech folks who geotagged the images. Many library projects are low-budget and have low bandwidth, so fostering relationships with highly technical “nerds” is very advantageous to all. David Rumsey’s map collection database and Brad Thompson Pastmapper are two of the collaborators from the high tech community. Open Source Integrated Library Systems (ILS) are in operation at Los Gatos Public Library and Santa Cruz Public Library. What is an open source library system? Open Source software is created, used and distributed by the community that develops it. It is free, but only as good as the community behind it. Open Source software is also a philosophy that is a perfect fit for libraries. The software is free and accessible to everyone. Participation is encouraged and empowerment is the result. Open source service providers, like librarians, are partners in the support and development of the software. They develop the options that they need, rather than having to rely on the options that the ILS software provider chooses to include in the system. Libraries have to do without options that they would prefer to have, or to have to pay the high cost of developing a customized system. Open Source ILS systems are gaining momentum in the library community and this is a new paradigm. The two ILS systems that were discussed are Koha, currently being used at Los Gatos Public Library and Evergreen at Santa Cruz County Library. The Open Source model, Koha was considered by Los Gatos PL when they were dealing with the issue of losing support to their Horizon system. 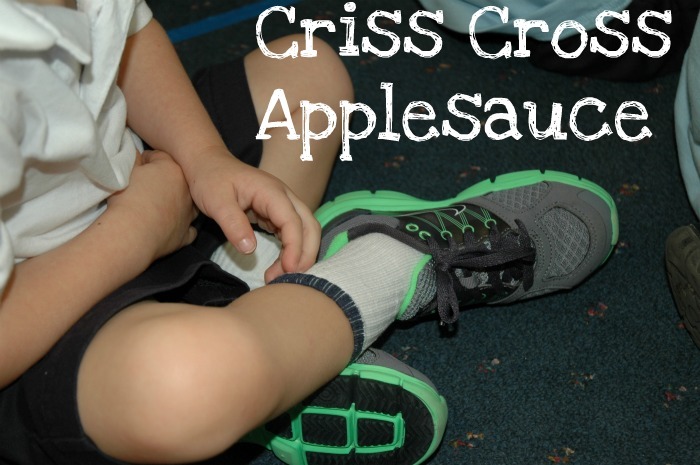 They received money from a grant and were excited to embrace a web-based ILS. Koha has a larger library community, so the Library thought that it was a better option than Evergreen. Santa Cruz Public Library chose Evergreen when it faced the tough choice of replacing their “card-catalog” from the 1970–1980s. They had a grant to acquire the system and had a “thoughtful deliberation of next-generation systems.” “The Library decided on Evergreen, which is used in a multitude of other libraries, large and small. Evergreen is open source software which makes it much more customizable to our patrons’ needs and adaptable to technological advances.” Libraries that have moved to an Open Source ILS echo a resounding and passionate sentiment: the world has changed for them and they believe that Open Source is the future. The four projects presented at the workshop were quite divergent, with different focuses and outcomes yet all share a few similar characteristics: they all use technology, they require staff to work in new ways and they all involve a fair amount of cooperation between staff, vendors and the community as a whole. Often these special services are launched with funds from grants. 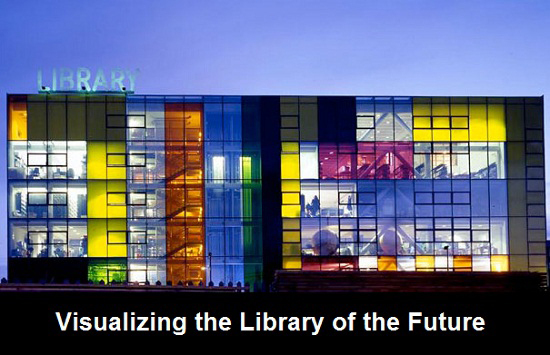 The projects featured at the Future of Libraries 8.0 are those that are currently being used by public libraries. But the lessons shared can be relevant to Academic and Special Libraries, as well as School Libraries. We share many of the same challenges and can learn, collaborate and benefit from each other in the true BayNet collaborative spirit. A similar theme was repeated by all speakers, we are living in the time of tremendous change in how people read, live and communicate! All of the sessions focused on ways to meet the challenge of this shift. The magnitude of the shift in how society lives and works is as significant as the development of the printing press, according to Lee Rainie, director of the Pew Internet Project. At last year’s BayNet annual meeting, Lee outlined the factors responsible for this phenomenon and the ways that we are living and working; portable devices and almost ubiquitous Internet access has changed our lives, our society and expectations. Yet one disturbing issue keeps emerging: traditional library services are not the corner stone of how the current, taxpaying and policy making public is always working. “Business as usual” is not working in the 21st century library. To create the Library of the Future, we need to find new ways to fulfill the library mission, so that we do not go the way of Blockbuster Video.